A Virgo person will find that by focusing more intently on particular chakras, that their healing will be increased, as they vibrate at a higher intensity with these chakras. The Base Chakra is used by Virgo people to increase and balance their need for security, ensure stability, create attachments and bring passion into their lives. The Earth Star Chakra is used to increase and balance attachment to Mother Gaia, Earth Goddesses, elemental and fairy energy. Attributes - Promotes an adventurous and intensive life. Deepens your emotional life, helps with sexual difficulties. Promotes your power of imagination and decision. Stimulates the brain, nerves and liver; detoxifies and helps with rheumatism, cramps and menstrual pain. Message - Promote understanding, lucidity and wisdom with gentleness. Focus - You exemplify dependability, intelligence, analytical insight, and discernment. Affirmation - I encompass understanding, determination and courage. Attributes - White gold is an alloy of 24 ct yellow gold and a range of other metals such as nickel, silver or most commonly with palladium or platinum. Helps with discontentment, inferiority complex and depression. Helps you see the positive aspect of things therefore making them easier to bear. Regulates the glands, nerves and circulation; has a warming effect; fortifies the sexual organs. Message - Radiant beauty, honour and admiration. Meditate with the divine. Focus - Positive reputation and personal integrity set you apart from others in a distinctive way. Affirmation - Rejoice, rejoice, and again I say rejoice. Attributes - Promotes stability and stamina. Help you withstand extreme psychic strain and overcome insecurity. Ends fruitless brooding and helps give up obsessions. Stimulates the kidney function, water balance and reduction of oedema. Message - Serene, graceful, safe, and abundantly blessed. Focus - Angels protect and guide you; with this belief you inspire others to have faith that one is never alone. 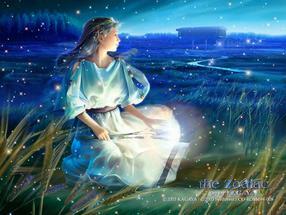 Affirmation - I ask my guardian angel to light, guide, and guard my way. Attributes - Zebra Jasper carries the qualities of regular marble but to a greater extent. It can help one to learn the inner truth to one's desires, helping to focus on what is wanted rather than what is not wanted. It's energies allow for greater control over thoughts, helping to keep a higher vibration available more often. By being mindful of one's thoughts, there is a better chance of manifestation of true desires. This Jasper is generally a nurturing and protective stone. It can be very grounding, enabling one to learn patience and practicality when it is most needed. Zebra jasper can also aid those who have trouble finding clarity and focus, which also helps one to achieve and hold deeper states of meditation. It can also enhance one's dream recall, by sleeping with the stone under the pillow. Message - Limitless creativity and pure fun promote togetherness. Focus - Your kindness and confidence perpetuate harmony. Surrounded by friends, you are loved. Affirmation - I promote togetherness, enjoyment and harmony. Attributes - This stone is a beautiful combination of Fuchsite, Ruby and Blue Kyanite. The Ruby crystals have a wonderful sparkle surrounded by Blue Kyanite in Green Fuchsite. Kyanite does not hold negative energy and assists in cleansing other crystals. Ruby encourages the search of one's Bliss and lights the darkness within the spirit. Fuchsite is said to increase the healing properties and flow of energy from other healing crystals. The combination stone Promotes protection and self determination. Aids composure; release tension; relieves pain; promotes good sleep. Gives you the courage to overcome problems. Helps with paralysis, rheumatism, inflammation, skin diseases, heart and back problems. Message - A visionary spirit supports uplifting beliefs. Focus - Original and dynamic, you gain knowledge from the mystic unconscious and express that information creatively. Affirmation - The power of my imagination banishes fear and promotes hope. Message - It is child’s play, an escapade, innocence giving birth to great wisdom. Focus - You support the soul’s journey through creating and supporting wonder and excitement. Affirmation - My life is filled with joy, merriment and delight. Attributes - Soothes heals the negativity and struggle in your life, surrounds negative energy with light, dissolves negative energy, heals negative thoughts and thought forms, moves attachments and psychic attacks out of the aura, releases negative karmic patterns, fills the aura with healing light, calms and soothes the emotions, heals the negative inner voice and sub personalities. Message - Enhance sincerity and loyalty; focus on emotional truths. Focus - You transfix people with your natural charm and artistic talents. Affirmation - I feel like I belong. I am confident people will accept me for who I am. Attributes - Promotes friendliness. Supports warmth, acceptance, helpfulness and a friendly disposition. Urges you to be open minded and accommodating of others. Strengthens the heart, normalises the heart-beat; good for connective tissues, blood vessels and skin. Message - Attuned to inner harmony, guided by the divine. Focus - You effortlessly support and mentor others, promoting an atmosphere of cooperation and respect. Affirmation - I am filled with grace and soulful beauty. Attributes - Turritella Agate is a stone of personal connection with one's past - ancestry, homeland, and the country from which those ancestors came. As a record keeper crystal, it may be used to gain access to the wisdom of past worlds and past life recall. It opens communication between the plant and mineral kingdom, providing access to information beneficial in healing the planet. If buried in land that has been neglected or polluted, Turritella Agate cleanses and re-vitalises. Its healing energies can be projected if placed on a map or photo of an endangered area. Message - Venture into the future; investigate new ideas; make predictions. Focus - Your heightened perspective and transference of important ideas lead to new realisations for oneself and others. Affirmation - I feel free to express my genius. Attributes - Helps you be firm in you decisions. Promotes self-assurance, endurance in adverse situations. Helps you take on responsibility and fulfil your duties. Strengthens the nerves, helps with paralysis and numb limbs, and bearing pain. Message - Potent observations tempered by intelligent rational thought. Focus - You see beyond the façade of human nature and the veils of time and space. Affirmation - I understand, interpret and utilise the information shown to me. Attributes - Promotes clarity and neutrality. Strengthens your personal point of view. It improves your memory. Aids your perception, increases awareness and brings clarity in thinking. Enhances your energy flow, fortifies the nerves, brain, glands; alleviates pain and swellings. Message - Compelling demand for the best outcomes, always. Focus - You pay careful attention to detail, giving you authority and wisdom to manage specific tasks and situations. Affirmation - I have a cherished desire for all to go well today. Attributes - This stone improves your feelings of self worth. Helps you appreciate yourself and brings your suppressed desires to the light. Helps you recognise the causes of your unhappiness; helps you stop adapting and being subservient. Stimulates detoxification and elimination. Message - Elect to incorporate lucid thoughts and actions into the everyday. Focus - You make a significant difference in people’s lives by showing them the way to move forward. Affirmation - I seek the intimate union between self and the divine. Attributes - Promotes regeneration. Brings you patience, dissipates anxiety, self pity and grief. Helps you realise your idea of happiness and fulfilment. Fortifies the liver, gallbladder and digestive system; this stone regenerates you after over exertion or illness. Message - High self-esteem and confidence in personal skills supersede fear. Focus - Your personal power is on show; you have the ability to resolve situations through prudent manipulations. Affirmation - I choose to influence others, campaigning for positive change. Attributes - Pink Fluorite is for goodwill and makes you more dynamic. Helps you see and express suppressed emotions. This stone makes you more active, open and good natured. It alleviates functional heart problems; helps regulate hormones and osteoporosis. Message - Remember the fundamentals; share nourishment, a home and love. Focus - You treat everyone in your social circle with compassion, courtesy and, indeed, like family. Affirmation - I pray for all of my brothers and sisters. We are all related in the light. Attributes - This stone promotes incentive and compassion. Gives steadfastness, protection and safety. Helps to actively deal with difficult assignments. This stone is for inflammation; activates absorption of nutrients in the intestine and also stimulates metabolism and blood circulation. Message - Sophistication, elegance, gentle and serene moments. Focus - Exuding beauty and charm, you radiate goodwill and considerateness. Affirmation - I cherish the elegance and beauty in all things.